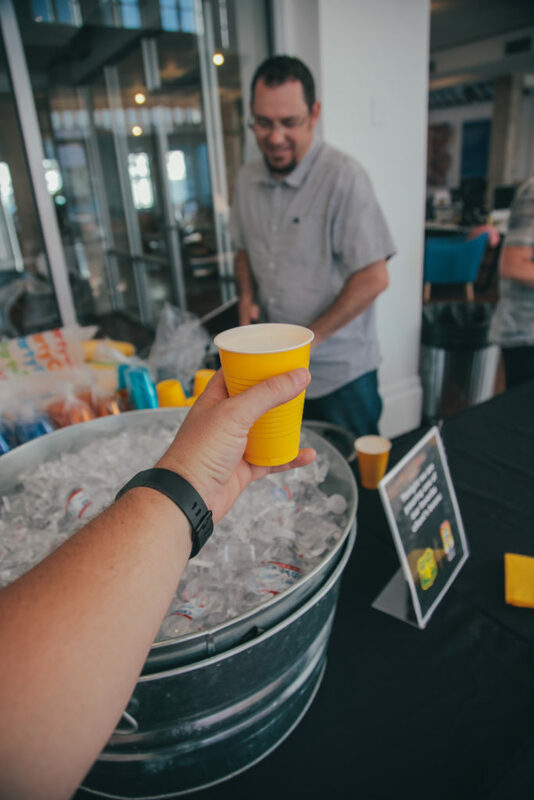 Summer’s just begun, school’s out, and as the weather gets warmer, people tend to get a little… wilder. In this case, we mean that literally. 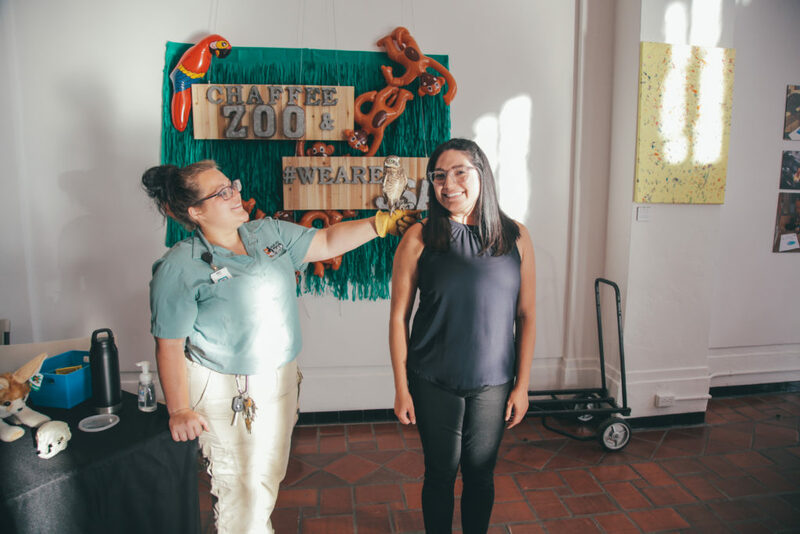 The agency dove cannonball-style into the spirit of the season with June’s ArtHop: Where the Wild Things Are, complete with special guest artists from the Fresno Chaffee Zoo. 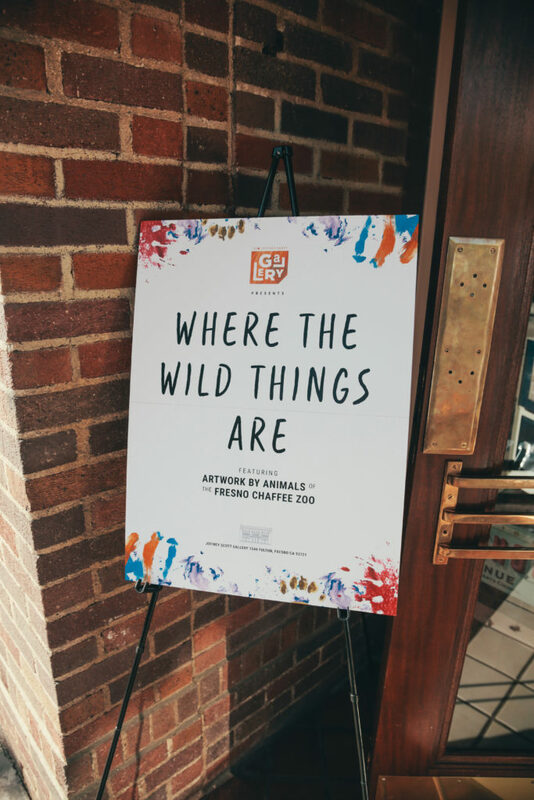 From rats scurrying across canvas to rhinos making their own hide-print paintings, our exhibit was a tribute to all things that can’t be tamed. 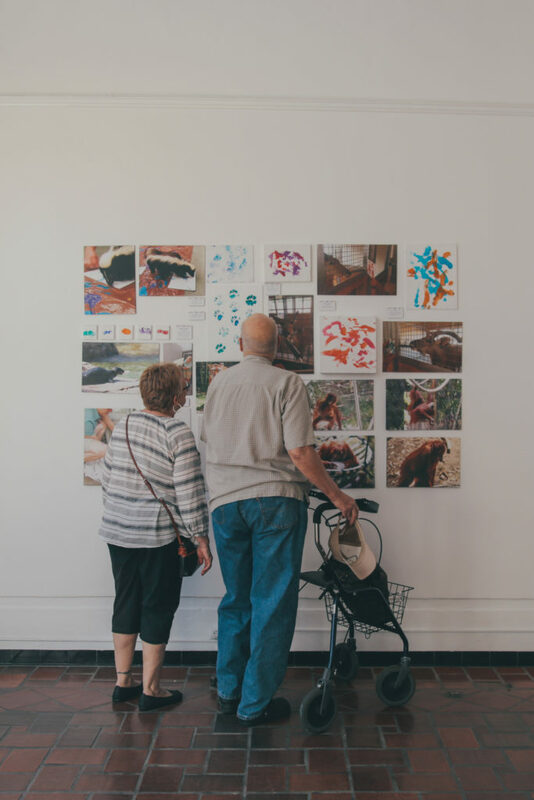 The show drew over one-thousand people and included over fifty pieces, featuring paintings by the zoo’s lion, sloth bear, tiger cub, skunk, grizzly bear, sea lions, rat, porcupine, greater kudus, common eland, orangutan and white rhinos. 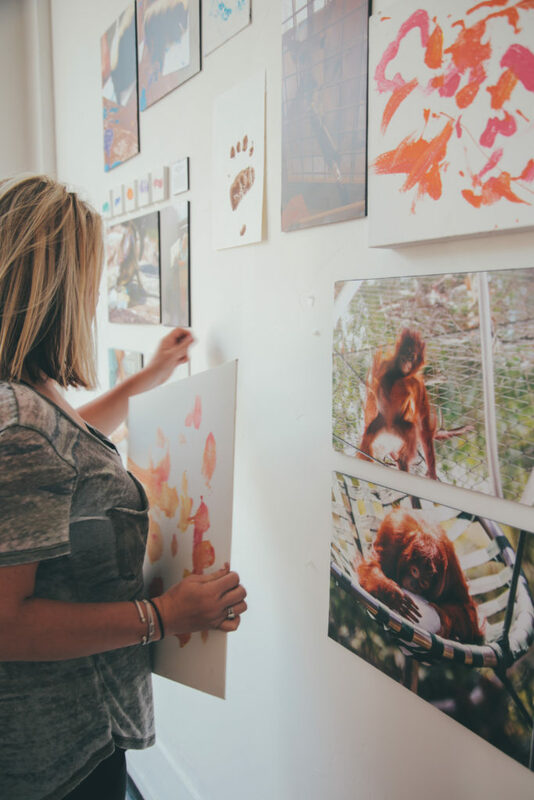 Each piece was accompanied by at least one photo of the animal either painting or in their habitat. The Zoo also showcased eight radiographs and two water color paintings done by a Fresno Chaffee Zoo Animal Educator. But that wasn’t all. 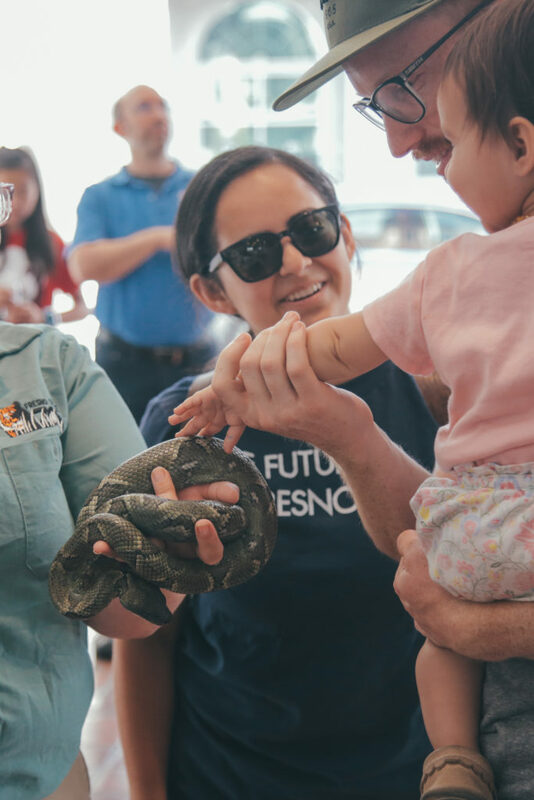 A snake, a sunk and a burrowing owl made special appearances, taking turns posing for photos with guests and helping educate people about their species and habitat. 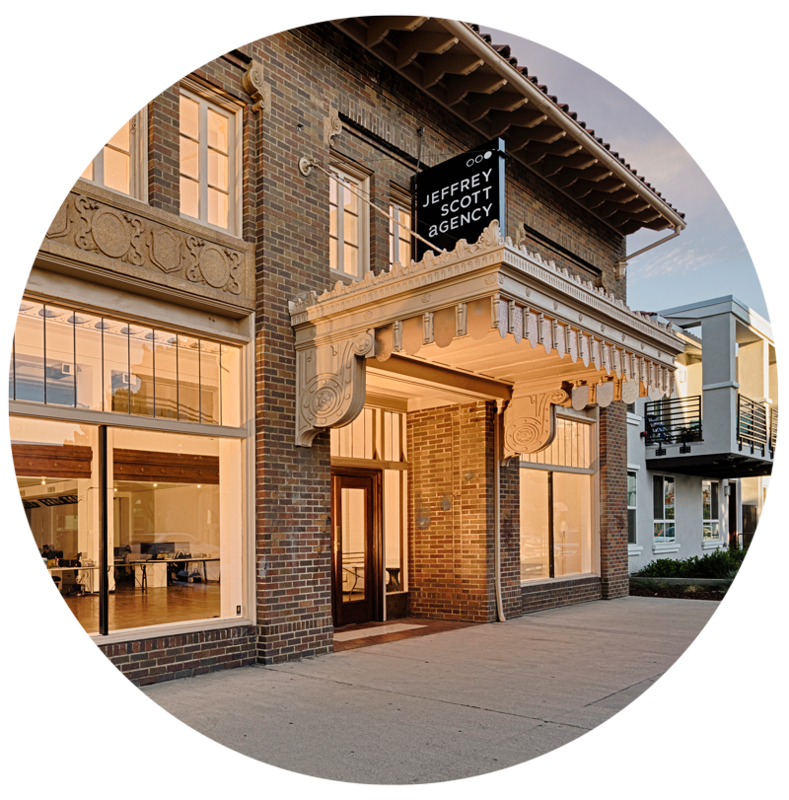 Of the fifteen artworks up for sale, four sold by the time the night was up. 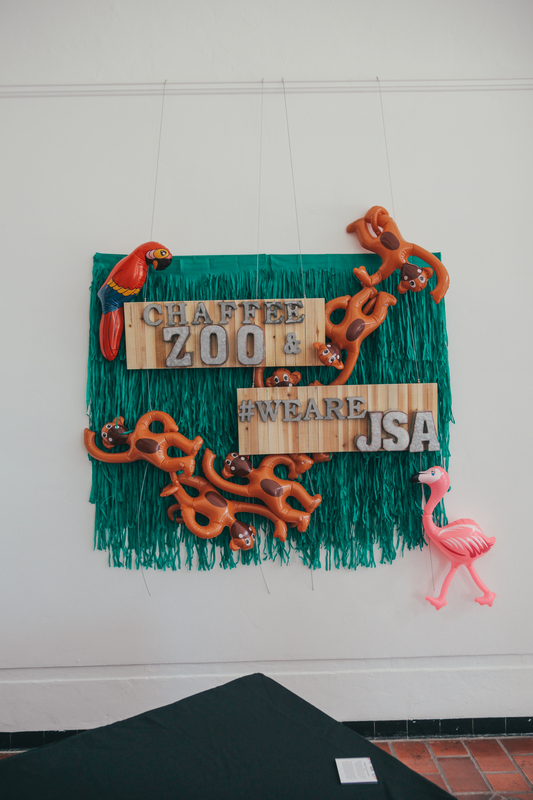 JSA also collected over three-hundred dollars for the Zoo—all thanks to everyone who donated, and our bartenders (who know how to work it). 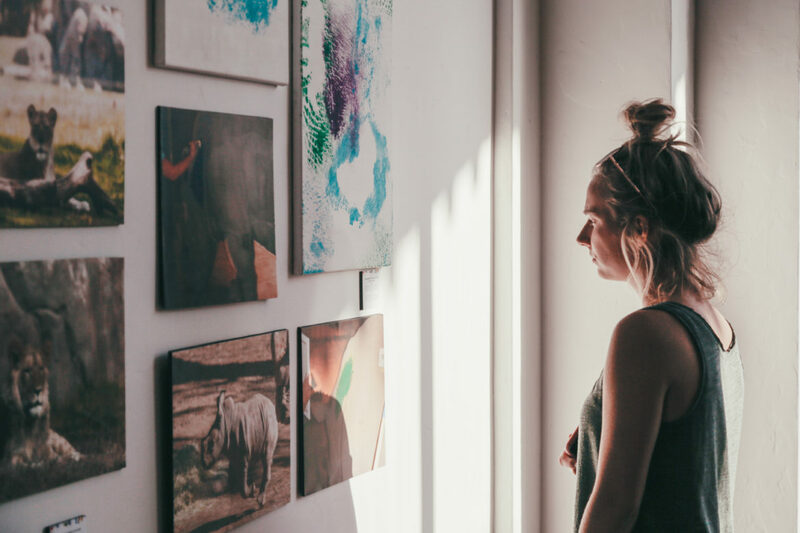 Of course, there are still 11 animal paintings up for grabs and the proceeds go to a good cause—so if you’re looking for artwork by Fresno’s wildest artists, make sure to contact Megan Scholl at (559) 498-5959. 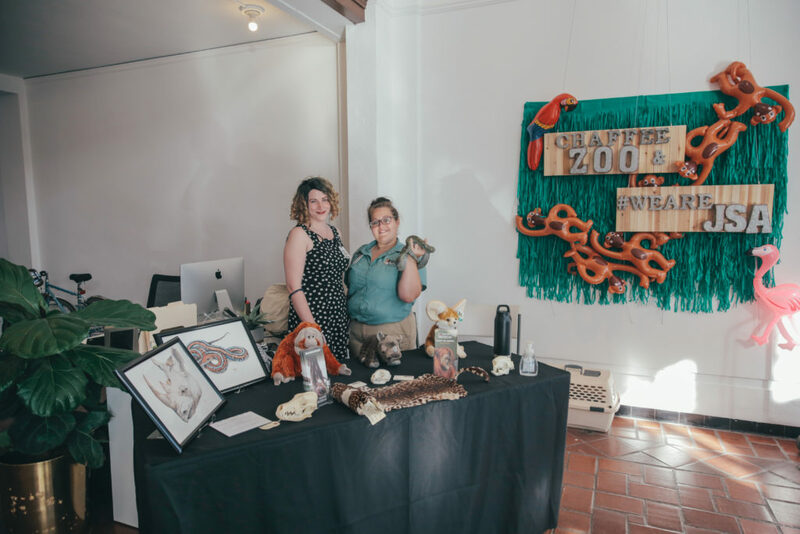 Or, if you didn’t get your Zoo fix at Art Hop (we know we didn’t), be sure to get your tickets for the Fresno Chaffee Zoo’s Safari Night in September. Wander the lush grounds tasting delicious appetizers and entrees stationed throughout the Zoo, relax in the zoo’s wine and beer gardens and enjoy live entertainment, cocktails and dessert in the Event Garden under the tree canopies. There will also be a silent auction and more one-of-a-kind animal artworks for sale. Still feeling generous? You can always make a donation HERE to help the Zoo continue to provide a unique, up-close wildlife experience and advocate for animals worldwide for years to come.